If you’re planning to visit Los Angeles this summer or sometime soon, or perhaps you even live here, get yourself a copy of Los Angeles Is … by Elisa Parhad to experience the city in a fun new way. 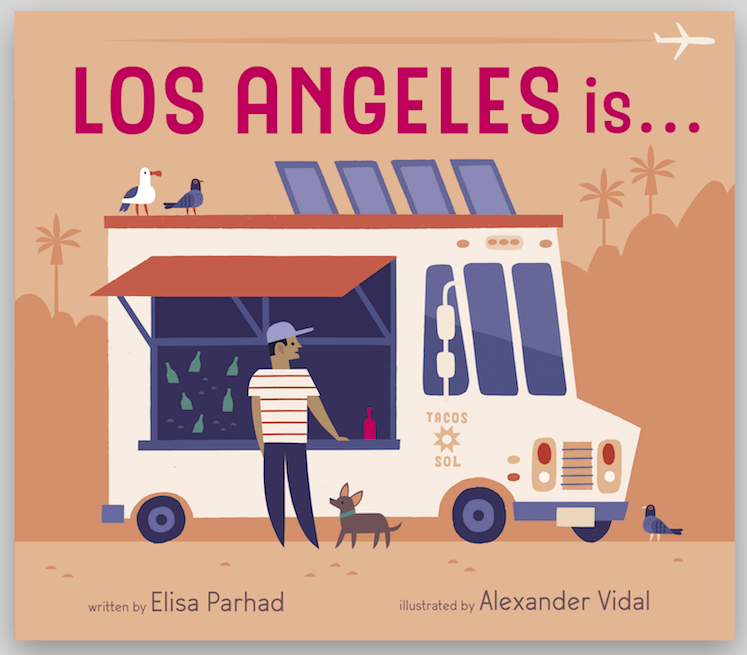 This original and engaging approach to L.A. in board book format is not only full of refreshing tour guide language little ones will love, but is spot on in its perspective. Los Angeles Is … looks at L.A. from two savvy insiders’ points of view (both author and illustrator are Angelenos) and highlights aspects of “one of America’s most iconic cities” that not all books touch upon. 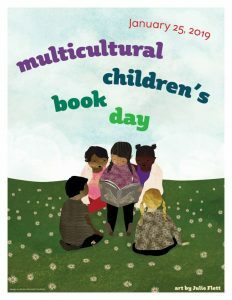 And I’m happy to say, it’s the first in a series of regional board books by Parhard with illustrator Alexander Vidal. Interior artwork from Los Angeles Is … written by Elisa Parhad and illustrated by Alexander Vidal, Cameron Kids/Cameron + Company ©2018. … to citrus fruits / long commutes. The rhyme is perfectly paired with the pictures (as seen above and below) and rather than including only the same old expected spots and landmarks, there are lots of unexpected sights (late-night diners / mod designers) mixed with ones always worth noting (canyon views / movie crews). Another aspect of L.A. that we’d prefer to forget—long commutes—is also depicted because it’s part and parcel of daily life in the City of Angels. Parents will appreciate the realistic portrait of California’s biggest city while toddlers will like the upbeat rhythm and enchanting artwork. Illustrator and designer Vidal captures the sunshine and sophistication of L.A. and its array of attractions in images familiar to many and warm and welcoming to others. Make a game out of reading Los Angeles Is … together with your child to try to name places and things to do from A-Z including airport, farmers market, orange orchard and Rodeo Drive. I found myself quite partial to Vidal’s characters and animals with their pointy legs and no feet yet somehow that style works wonderfully. I also enjoyed how everything else, whether palm-lined streets, food truck treats, low-ride cruising or poolside snoozing is depicted with bold graphic shapes such as ovals, rectangles, circles and squares, maybe not intentionally done as a learning tool, but still ideal for pointing out to little ones. I recommend picking up a copy of Los Angeles Is … to make any visit more meaningful to youngsters and, while you’re at it, get an extra copy for a friend with children four and under. I know you’ll find it as delightful as I did. Read a review of another travel-themed board book here. 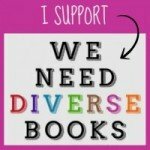 Find Book Reviews by Searching for Title, Author, Illustrator or Publisher. 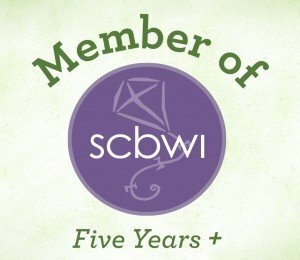 Enter Your Book Category Here ie: Mystery, Picture Book, Young Adult, etc.